I've already talked about my favorite eyeshadow palettes and I promised in that post that I'll do another one of my favorite single eyeshadows. I have a few single eyeshadows that I really like and only five made it to this cut. It's not just boring neutrals, there are some colorful choices in here too. I wouldn't have thought that I would like this shadow so much. I basically want to use it with every warm toned eye makeup. It's a lighter matte yellow toned caramel brown. I usually use it in the crease or all over the lid for a basic matte eye look. Yellow warm tone in it is what makes me like it so much, because it pairs well with warm skin tones and gives your eye makeup an overall warm vibe. 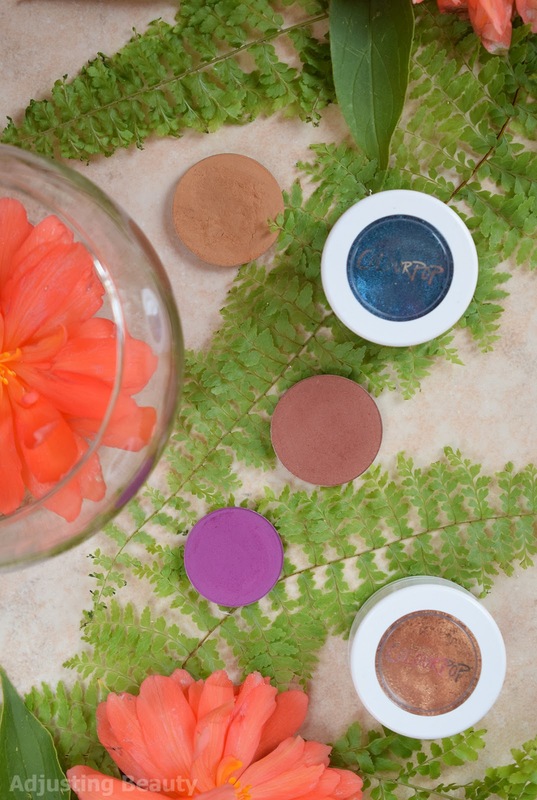 Nabla matte eyeshadows are slightly on the drier side, which means you'll have to build them up a bit, but the pigmentation is definitely amazing. It's just not like Colourpop, which seem looser in texture and therefor pack a punch quicker. But you get a much more even placement with Nabla eyeshadows. Another one of my favorites from Nabla and I think we all know why. It's the name. My name is also Petra, so it just has a special place in my heart. It's medium matte redish brown. I use it most in the fall, because it's that perfect shade to put all over the lid or deepen outer V. Sometimes I just use it along the lash line to give my usual eye makeup some depth. It's the same formula as with Caramel, but just a tad wetter. I haven't had this shadow for that long, but as soon as I tried it for the first time, I knew it's going to be in my favorites. It's medium matte warm purple. Purples are notorious for being hard to work with, but this one is really nice. Formula is not too dry nor wet and pigmentation is great. 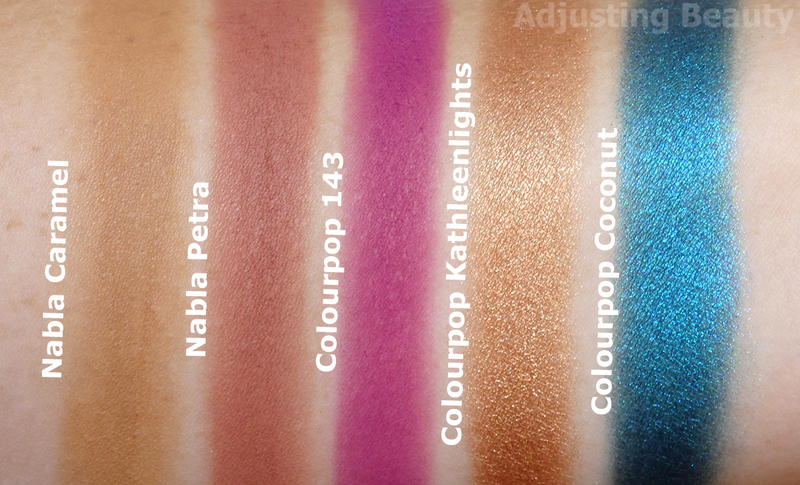 As with most darker matte shadows from Colourpop, you'll need to build it up to look completely opaque and even. If you're applying it over the lid, it's best to just pat it on with fingers to get the best intensity. It's rare to find warm purples that are vibrant, yet somewhat subdued and this is exactly that. 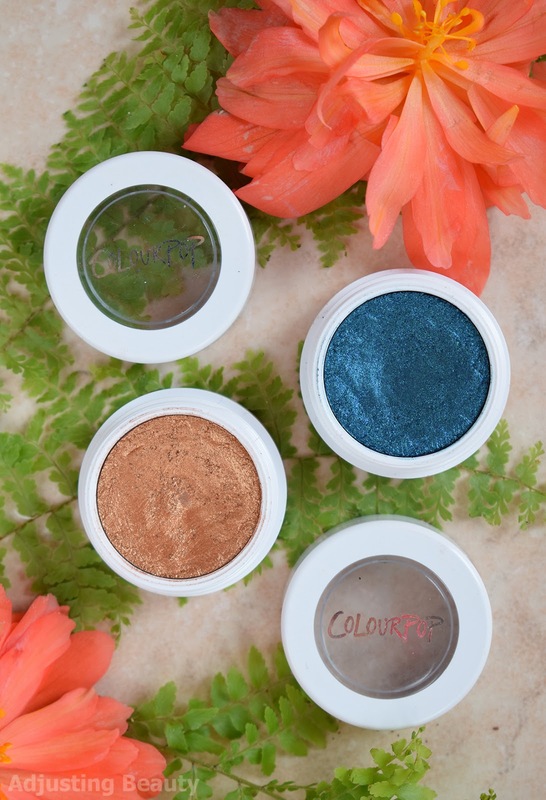 Colourpop Super Shock Shadow formula is quite unique. I describe it more as a mousse formula that feels like a cream once you touch it, but it sets into a powder. They have different finishes. Pigmentation is just amazing. Most of them have one swipe intensity and you don't need to build them up. Kathleenlights is one of my favorites, because it's that perfect copper gold. It has warmth and metallic finish with shimmer in it. 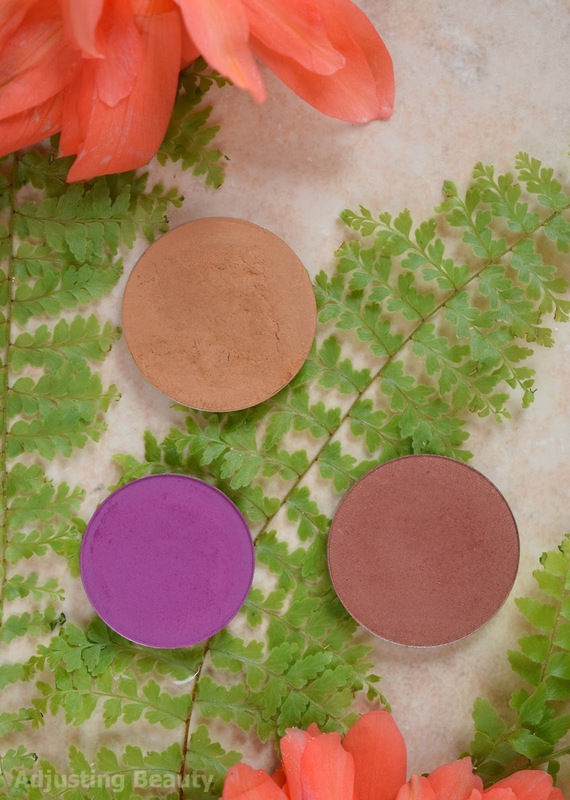 It's the perfect shadow to apply on the center of the lid over any matte shade to make your eye pop. Coconut is another unique shade in my collection. It's a deep emerald blue that has slight green sheen to it. It also contains small shimmer. It's another one of those fun shades, because it has vibrancy of that electric blue, but is dark enough and the green sheen gives it something a little different. This is a true pop of color that I pick whenever I want something eye catching. You can pair it with something lighter and warmer or wear it on a night out with black smoky eye base. It's my favorite blue from my collection. My single eyeshadow wishlist is very small. Usually, I go for eyeshadow palettes. Nabla Radikal and Circle are still on my wishlist, because I didn't get the chance to buy them yet. I would also love to try some Stila Magnificent Metals Glitter and Glow Liquid Eyeshadows. Kitten Karma seems to be the most popular and I love the more peachy golden vibe that it has. I'm just curious how glittery these really are, but the price is hefty. I've also purchased some more single eyeshadows from Colourpop, so there'll be more Colourpop reviews in the future.